May 4th in WordPress Themes by Wordpress Jedi . 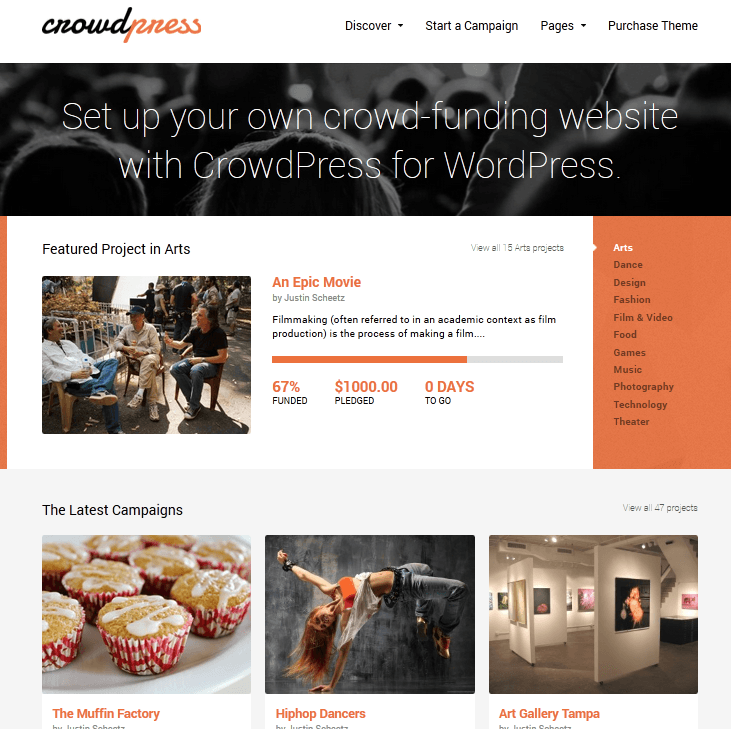 Fundify: a pretty good looking crowd funding theme for WordPress. It integrated with Easy Digital Downloads to allow you to raise funds for all kinds of products. The theme supports split payments. Fundingpress: another attractive theme for crowndfunding sites. It has a responsive design with detailed project pages. It supports PayPal adaptive payments. 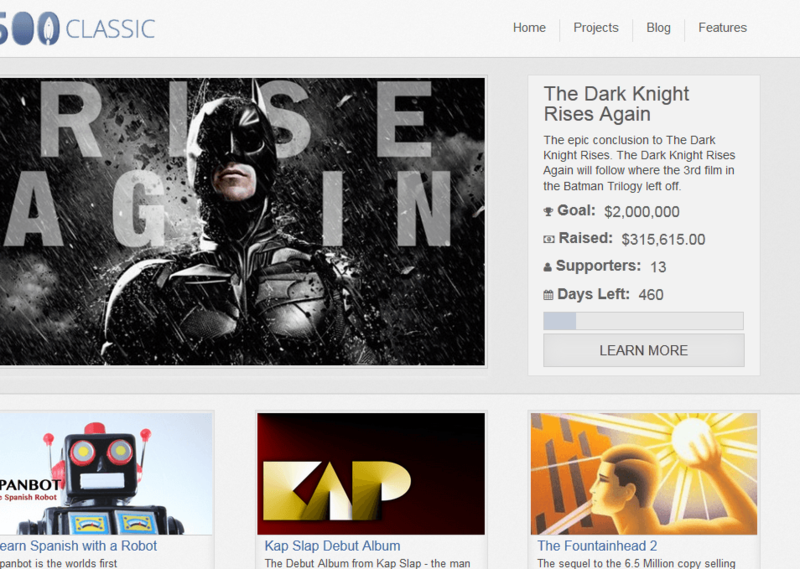 CrowdPress: a responsive theme for cloning Kickstarter. You can change the color, font, and styling fast. It is powered by Easy Digital Downloads and Appthemer’s Crowdfunding plugin. IgnitionDeck: designed to help you start and fund projects on your own websites. It comes with a free theme to get you started. The script has an easy to use admin panel, supports multiple donor levels, and comes integrated with top social sites. It offers embeddable widget code for your campaigns. 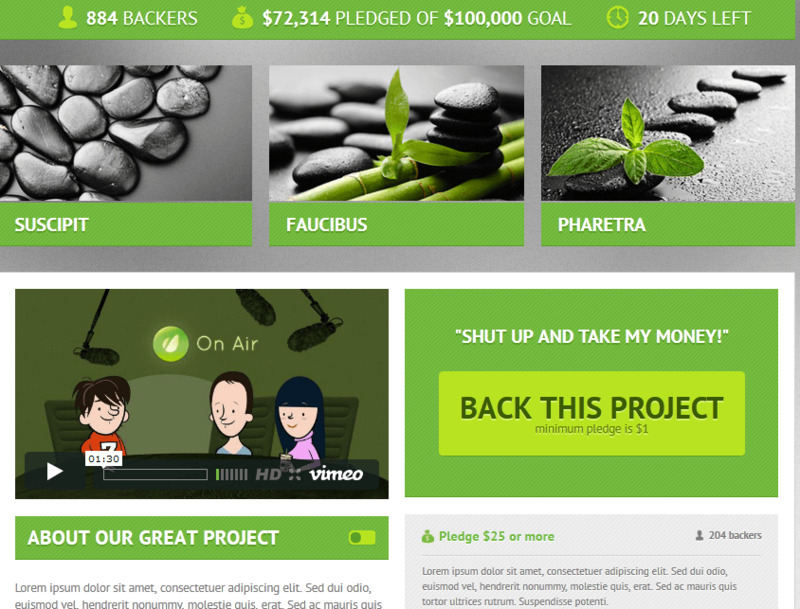 backthis: a crowdfunding landing page coded in HTML5. Use this in addition to your default WordPress theme to raise funds for your projects. 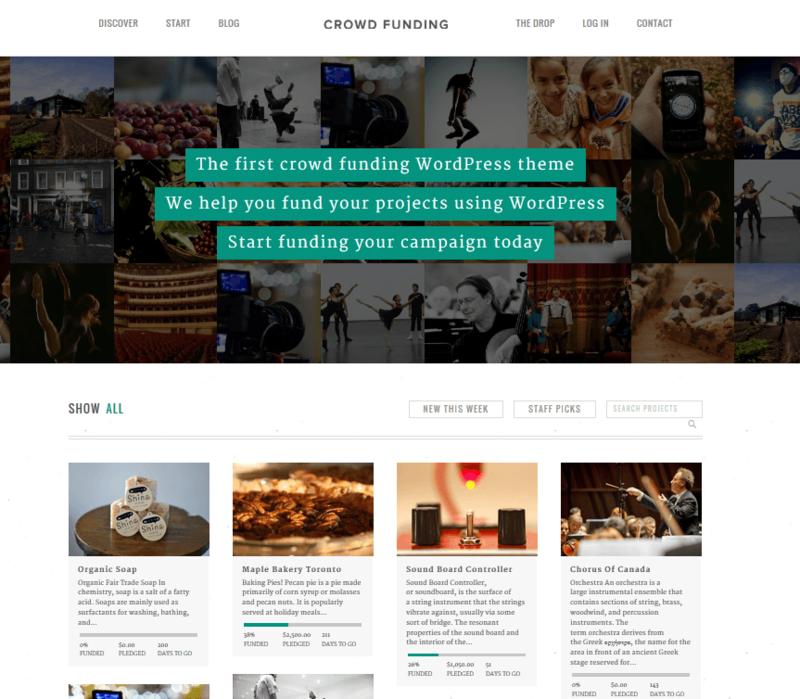 Have you found better crowdfunding themes for WordPress? Please share them here.